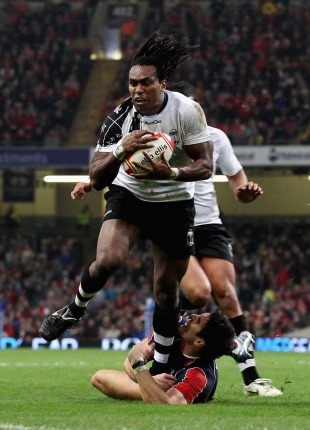 News: Fiji's World Cup in doubt? Fiji's World Cup year could get off to a terrible start with news a lottery set up to raise money for the national side may instead deepen the national union's financial problems. The Fiji Rugby Union faces a fine of F$125,000 (£53,118) after reducing ticket prices to boost sluggish sales. The Commerce Commission, Fiji's consumer protection body, has given the union five days to comply with a series of demands to avoid the fine, which would severely damage its already perilous financial position. The union is required to advertise in all daily newspapers, offering to repay F$10 to anyone who bought a ticket at the original price. While on the pitch it appears the island nation are in decent fettle ahead of the World Cup in nearby New Zealand, off it the union is in a poor financial state. The lottery, which was drawn last week, was designed to improve that situation and carried cash prizes of F$100,000, F$70,000 and F$30,000 - substantial sums in the Pacific nation where wages are low. The Commerce Commission has ordered the union not to pay prize winners until its instructions have been complied with. Fiji Rugby Union chairman Bill Gavoka said his union was "shocked" by the Commerce Commission's directive and believed it had complied with all terms of its lottery permit. "Put very simply, the permit did not prohibit us from discounting the price of the ticket and like any business, we used that ability to discount as a way of moving inventory that was not selling," Gavoka said in a statement. "In addition, it was restricted to a very limited period and the overriding concern was to maximise the sale of the tickets for the benefit of our boys, the Flying Fijians."